Warm up with the scents of summer from Calvin Klein, Mary Kay and Guess! 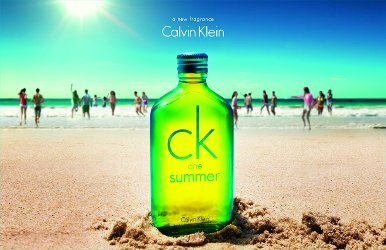 Calvin Klein CK One Summer - 100ml - $68 - a fruity citrus fragrance with top notes of frozen lime, grapefruit and melon; heart notes of white freesia, cypress and tequila accord; and base notes of coconut water, crushed sugar and cedarwood. This one is my go-too summer scent and it never disappoints me even though they change it up a bit every year - this summer I'm gonna smell like a margarita! Available now at Shoppers Drug Mart, Hudson's Bay, Sears, Murale, London Drugs and Rexall Pharmacies across Canada. Mary Kay Journey Of Dreams - 29ml - $35 - a light scent that contains captivating notes like Sparkling Clementine, Rose Lychee Water, Plush Peony and Blooming Turkish Rose. From May 16th - August 15th, 2014, $2.50 from each Journey of Dreams purchase will be donated to The Mary Kay Ash Charitable Foundation to support women living with cancer through the Look Good Feel Better program and to help end violence against women by providing grants to women’s shelters and community outreach programs. Available May 16th through your Mary Kay Independent Beauty Consultant - if you don't have one you can find one at - www.marykay.ca or 1-866-455-5454. 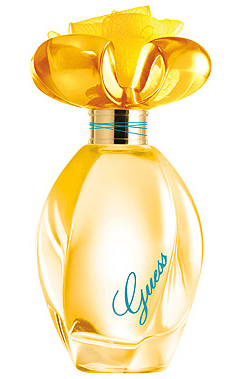 Guess Girl Summer - 50ml - $45 - a floral citrus fragrance with top notes of Italian bergamot, sparkling mandarin and neroli petals; heart notes of orange blossom, honeysuckle, beach flower and water lily; and base notes of creamy musk captive, vanilla orchid and teak wood. Calvin Klein Eternity Summer - 100ml - $94 - a green floral fragrance with top notes of pear, mandarin, watermelon and bamboo leaves; heart notes of peony, water lily, gardenia and neroli; and base notes of soft musk and white woods. Available now at Shoppers Drug Mart, Hudson's Bay, Sears, London Drugs and Rexall Pharmacies across Canada.